ShowBox 2018 server not working error fix. Fix ShowBox 2018 Server Not Working: The best and the most used entertainment app Showbox can be regarded as the favorite app for all those Movie and TV Show lovers, who mostly want to stream movies and shows on their devices, especially the Showbox 2018 for Android devices. There are tons of good features loaded in this app that’s why its among all those apps with over 100 million downloads world wide. But with all those positive features, There are still some drawbacks and among most named one is the Service breakdown which make users to face this ShowBox Server not working error popping up most of the time. As most of you know that ShowBox is being run by some Russian developers and the contents that they are mostly streaming or letting us download is shared on VK.com or OK.ru. Though with the new Russian Cyber rules their links and sites are mostly get knocked by authorities but their app keep on working properly as they seamlessly transit between different servers without letting user know. But sometime in the middle of a show we are stuck on buffering and on refreshing the messages can appear that the content is not found or end up with Non Working ShowBox App for Android devices. But we have come up with a fix to this issue. All you have to do is follow our step by Step guide. 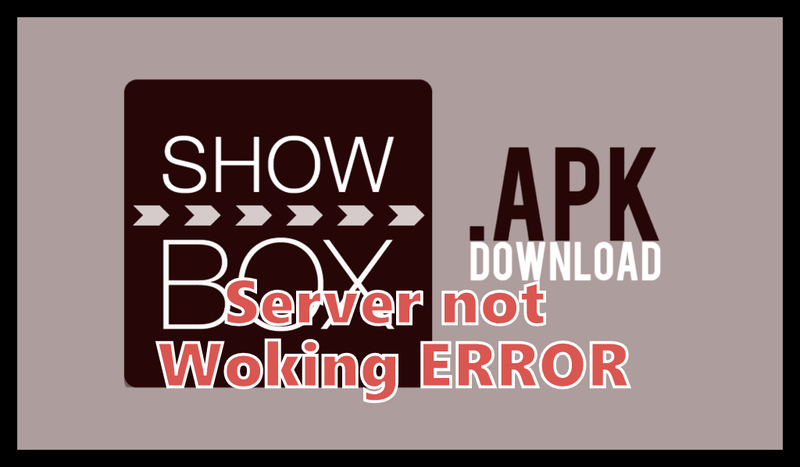 To fix any issues with Different server connections for Showbox 4.96 Android apk. Most of you know that their are ShowBox Alternative apps like Megabox, PopCorn Time, Movie HD etc but the you might still go for ShowBox due to the extensive collection of content which is mostly found in High Definition and also regularly updated. So sticking with this app needs you to learn some useful tricks to get rid of such errors and to enjoy unlimited stream or downloading for your Android devices. In case if you want to download the update from in-app notification, there can be chances of getting the “ShowBox Server Not Working Error” . So Better to stick with this 3rd party link shared above. Once the updates are downloaded Make sure to remove the previous or older version of the app. Now to install the ShowBox Apk file you need to enable the Unknown Sources option. For that go to Settings> Security> Unknown Source > Enable. Once done you can simply install the Showbox Updated app on Android. The updated app works quite well with any buffer during streaming and also gives better download speed If you want to download the Movie or a whole TV Show. If this “ShowBox Server Not Working” issue is still there you can go for Clearing Cache of this downlaoded app. Tap and hold till the options start showing. Inside App info check the App version. 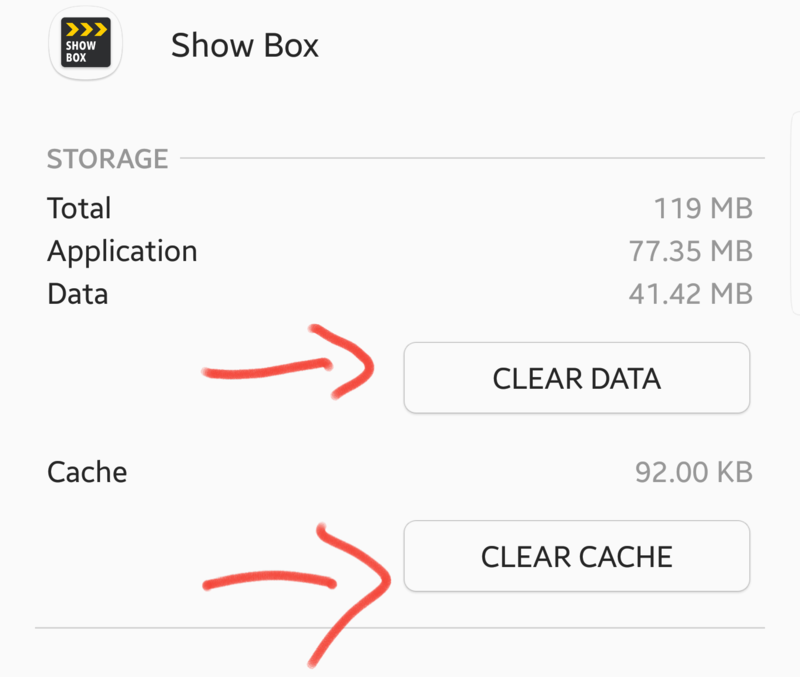 Now tap on storage Option Click on Clear Cache and Clear Data to remove all the cache and data from your app. That’s it once done, Simply restart the app and you will not face any issues while streaming videos or Movies on Showbox Android app. 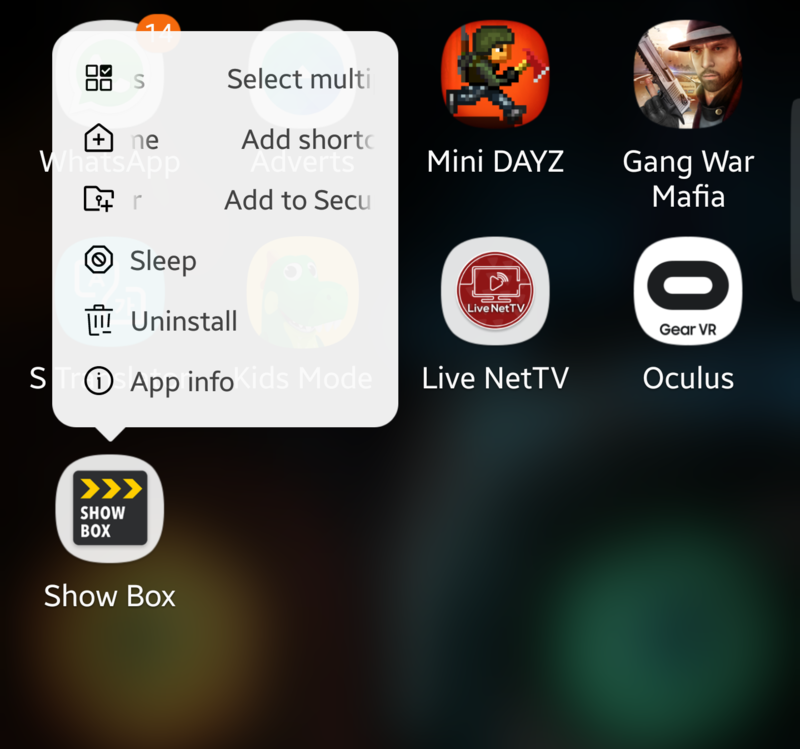 Download ShowBox 4.96 Apk latest version for 2018. That’s it, Hope that you have followed the above given methods and have fixed this Showbox Server Not Working issue on your Android devices. Also keep in touch As we bring the latest updates of the Showbox App.